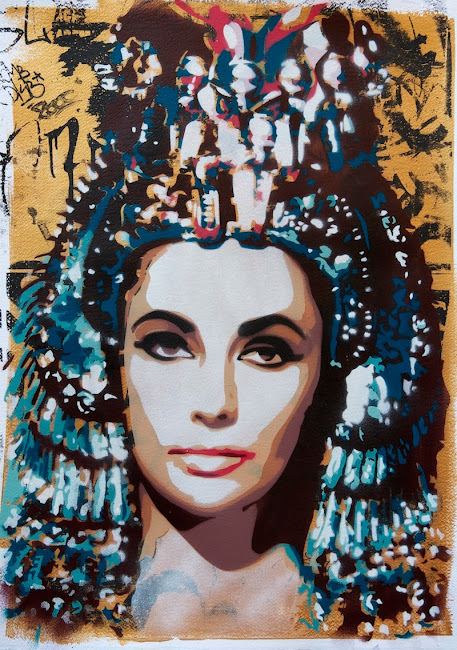 German based print house Pretty Portal have announced the release of the stencil print edition of BTOY´s iconic image "Cleopatra IV"
The background is in metallic gold. The edition went on sale ealrier today Wednesday, 27th of November, 4pm (CET) at shop.prettyportal.de. The Bundeskunsthalle, in former german capitol Bonn, showed BTOY´s "Cleopatra" in the Cleopatra exhibition, which focussed on the egyptian queen as inspiration for artists in the last 500 years. BTOY´s pieces hang next to works from from Michelangelo and Warhol. Her "Cleopatra IV" image was the key visual for the exhibition and was displayed on catalogues, flyer and posters all over Germany. The exhibition which was a big success can be seen in Berlin next year. Anthony Burrill I Like It. What Is It?